Over the years, Bob has made numerous radio appearances, beginning in 1976. Later he would perform live on Radio 2TM’s popular ‘Country Muster’, be interviewed backstage at the Wandong Festival by Nick Erby for his ‘Country Music Jamboree’, and appear on BBC Radio in the UK with the band Barbary Coast. 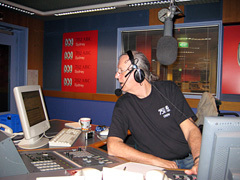 There would be regular guest spots with Belinda Miller on Brisbane’s 4AAA-FM and the NIRS (National Indigenous Radio Service) and with Barbara Morison for her ‘All Kinds of Country’ show on 2SER (107.3 FM in Sydney) where Bob can still be heard every month. Every Saturday night for seven years (2003-2010), Bob (a.k.a. 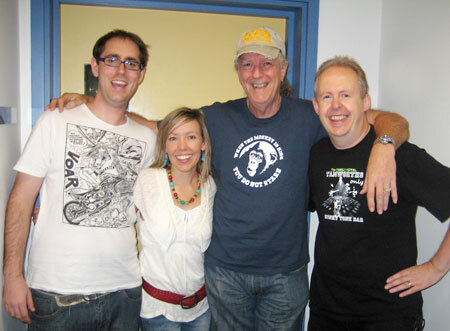 Big Bob from Bondi) chatted with John Nutting on ABC Local Radio to deliver the ‘Saturday Night Country’ Gig Guide, relayed across 60 stations nationally, via the Web and Radio Australia. 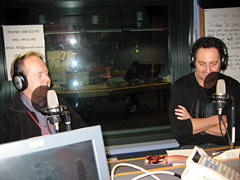 Bob also co-hosted on numerous occasions from the Sydney, Tamworth and Mildura studios, reported in from the USA in 2004 and 2008, and performed live music in the studio. Terry Westcombe (EMI), Anne Wright (RCA) and nineteen-year-old Bob Howe (Festival). Meanwhile, on the same station, some 31 years later…. 2am in the ‘green room’ at ABC Radio 702 in Sydney! 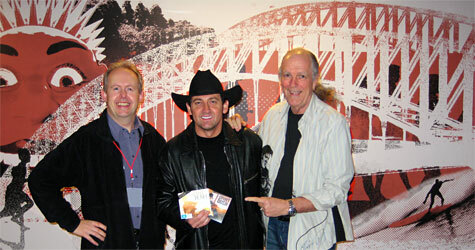 Saturday 21st July 2007 – LEE KERNAGHAN co-hosted John Nutting’s SATURDAY NIGHT COUNTRY from the Sydney studios of ABC Radio to launch Spirit Of The Bush, his latest album. 100% of the profits of Lee’s single of The Spirit of the Bush (with his mates Adam Brand and Steve Forde) goes to AUSSIE HELPERS. 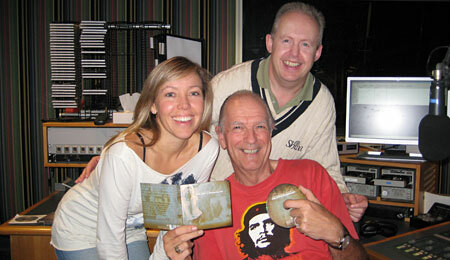 Bob joined John and Lee just before midnight for the final two hours of the program. 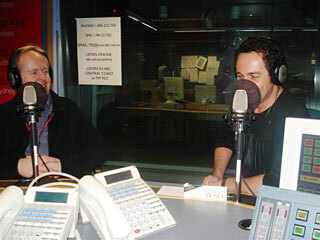 The show was be broadcast on 60 local ABC stations, Radio Australia. Photos above left and top by John Nutting, above right by Bob and centre by CyberSteve. 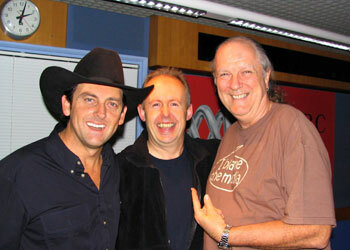 Previously on 21st April 2006 – Bob joined John Nutting as Saturday Night Country broadcast from the ABC 702 studios in Sydney to launch The New Bush – then the new LEE KERNAGHAN album. 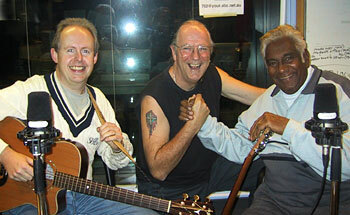 Lee also performed two numbers live in the studio with Lawrie Minson on guitar and harmonica and Bob on guitar. LISTEN to an extract from the show… with John’s introduction and a snippet of live music plus Lee and Bob reminiscing about the 1981 Yackandandah Country Music Festival…the first time Lee heard Bob play guitar! Above left: producer Dan Driscoll, Lawrie, Lee, and Bob live in the Star-Chamber. Photo by John. Above right: Lee, Bob, Johnno at 2am at the end of the show! Thanks to John, Lee, Lawrie and Dan ‘the man’. Sat. 23rd Aug 2003 was a special night at the ABC 702 Studios. As well as the Gig Guide, Bob and his guitar were LIVE in the studio behind the magical voice of JIMMY LITTLE and then Bob chatted with Johnno throughout the final 2 hours of the show. 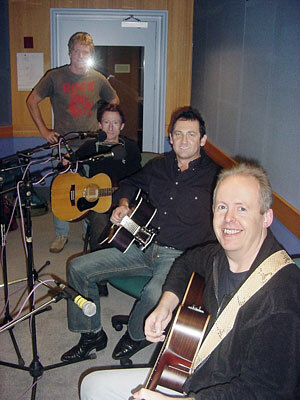 Bob (far left) and Johnno (far right) with Donna Fisk and Michael Cristian who had scored a hat-trick earlier that night at the 2004 Telstra Country Wide Southern Stars – the 8th Australian Independent Country Music Awards of Australia – by winning APRA/AMCOS Independent Country Music Single of the Year, Independent Album of the Year AND Independent Artist of the Year. Bob was there to join in the fun when FELICITY URQUHART co-hosted John Nutting’s SATURDAY NIGHT COUNTRY to launch her new album Landing Lights at the Sydney studios of ABC Radio 702. 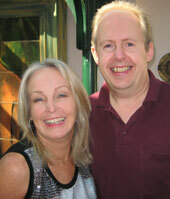 John Nutting stepped behind the microphone for the last time to present a special edition of Saturday Night Country with new host Felicity Urquhart. They looked back at program highlights since 1993 and play tributes from the characters and guests who have contributed to the show. The program was heard from 10pm Saturday to 2am Sunday AEST on ABC Local Radio and on ABC Country through Digital Radio in Brisbane, Sydney, Melbourne, Adelaide and Perth.